In a first for Australia, The Seedcare Institute will support the safe application of Seed Treatment products that protect against problem pests and diseases, supporting better crop establishment, while making the most of precious soil moisture and nutrients. 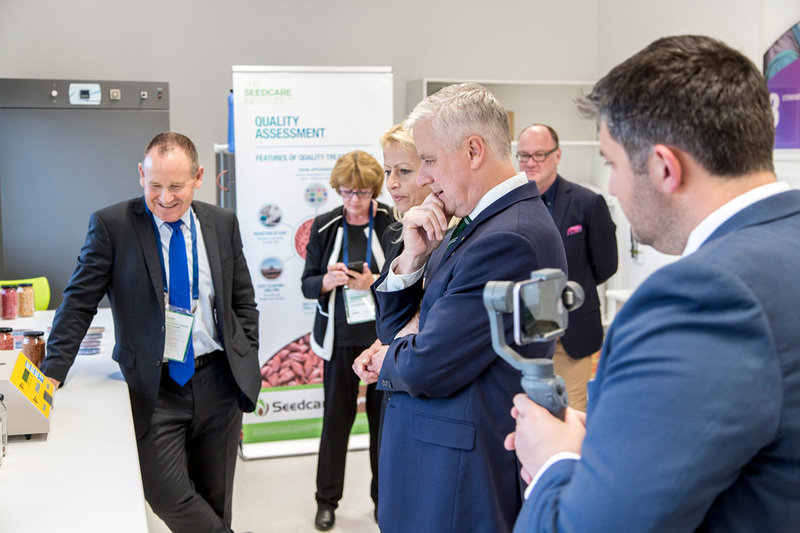 Syngenta has transformed the university’s old winery into state-of-the-art laboratory and storage facilities, to test the application of Seedcare’s products under Australian conditions, addressing key criteria for quality outcomes on-farm. The AgriPark at CSU will bring companies like Syngenta together with other agricultural innovators, fostering collaboration for the industry and unprecedented opportunity for students. University students will have the ability to work side-by-side with staff in the assessment of these seed coatings with finely calibrated lab equipment, testing the uniformity of the treatment, adhesion quality, dust-off and flowability on-farm. The latter important to prevent blockages of seed planting equipment, which can cause considerable down-time losses during the busy sowing period. “As these recipes become a lot more complicated we need to have a better understanding of how it combines together, goes onto the seed, and stays on the seed, so that when the farmer invests in these technologies, these products perform for them out in the field,” Sean said.